I love detachable collars. They can change the look of an outfit easily and are quite cheap (compared to buying a new outfit, anyway!). Heres a few I’ve spotted that I think I could wear. 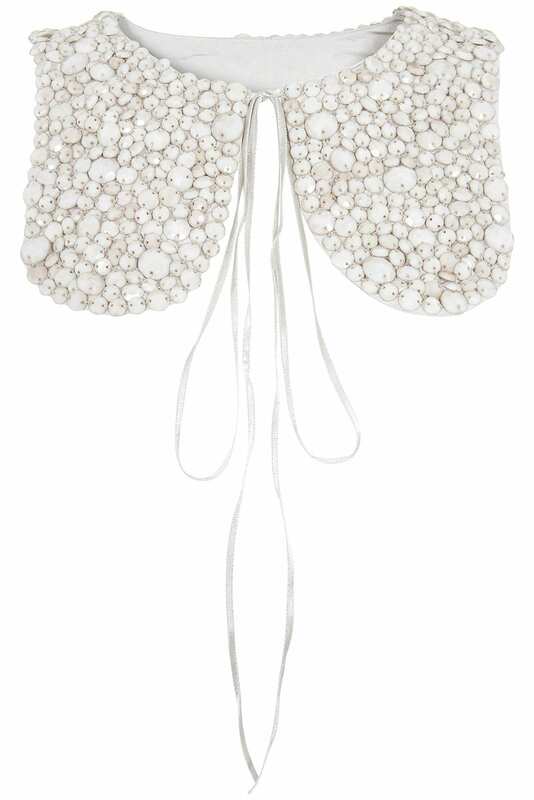 This “antique embellished collar” from Topshop* (£32) was part of their online exclusives, but unfortunately its currently sold out. 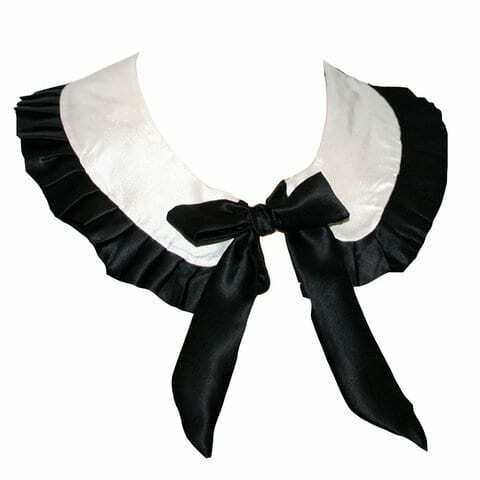 I love this Gemma Lister Peter Pan collar* – unlike most of the other collars here, this looks like its more solid so wouldn’t lose its shape. Its also only £31.50 on ASOS* at the moment. 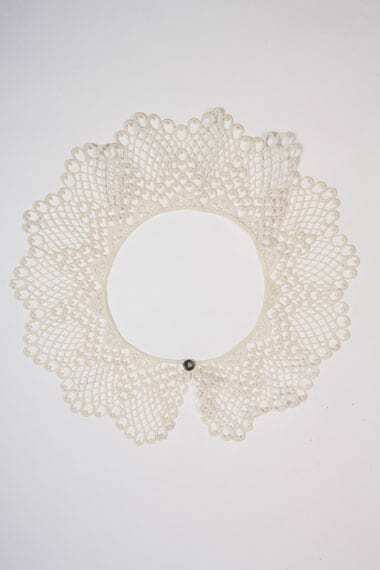 From Urban Outfitters, this crochet collar necklace* (£28) is much softer looking. 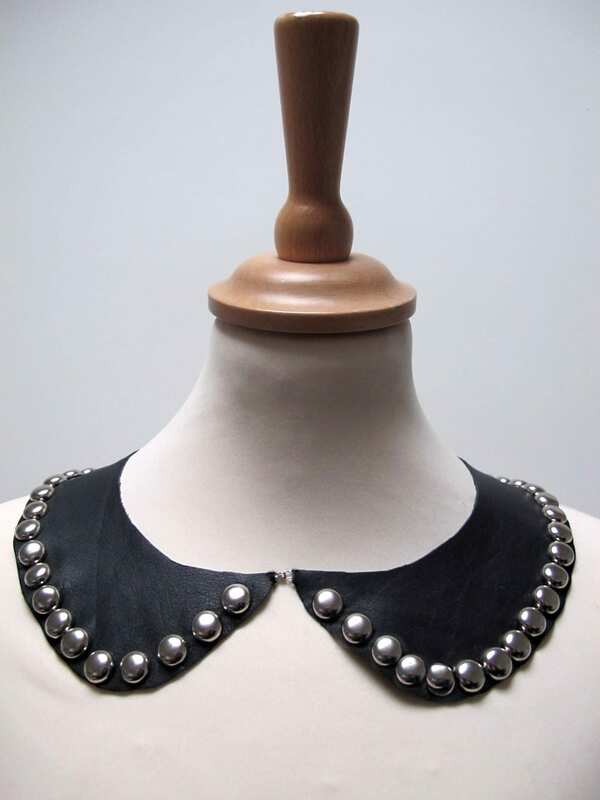 Etsy always has so much choice, but my favourite was this studded Peter Pan collar from Girl Can’t Talk (£35) – so different to the other collars above! If none of these take your fancy, then you can always have a go at doing it yourself – Lucy posted a tutorial about how she decorated some cotton collars or if you can crochet (unlike me! ), theres a cute collar pattern here. I love them all, but the topshop one especially. I am so disappointed I didn’t buy it while I still could. I never thought about detachable collars before, but these look really interesting, may try and get myself one… Not surprised the Topshop one sold out, its gorgeous. Never considered a detachle collar, but I love the embellishments of the first one! I loove the crocheted one, but alas I a)can’t afford it and b) can’t crochet to save my life. BOO! 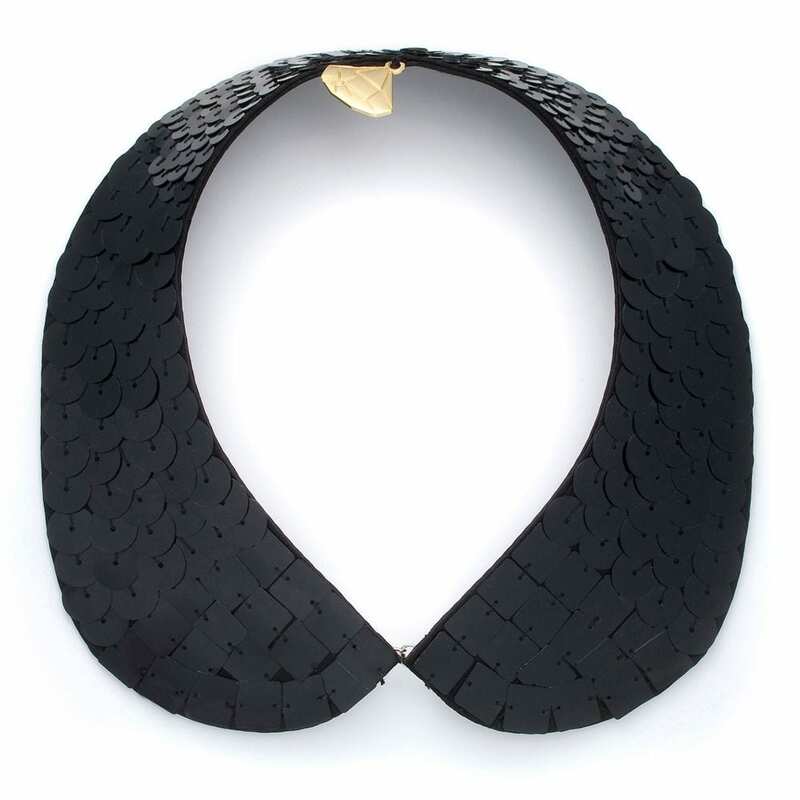 Ooo, I’ve had that Lou Lou Loves You collar on my mental wishlist for some time! It’s very cute, and the Gemma Lister one is too. I adore peter pan collars, but it’s so hard to find nice tops with them on!